We Love Our Clients Just as Much as they Love Us! "Our family moved from California to Tulsa in 2012 without having any familiarity with the city. Before our move, I contacted Lori about one of her online home listings, and explained our situation. Upon our arrival to Tulsa, she came to visit with us in our hotel and gave us a full and clear picture of the city. Based on our requirements, she put together a full listing of homes that best suited our needs and spent three full days driving across town with us to find the right fit. Lori also put us in touch with several mortgage brokers who made financing a breeze in the worse real estate market this country has experienced in 50 years. After only two weeks, we closed on a house that will always hold a very special place in our hearts. Since our first encounter with her, she has been a blessing, and we will always consider her a part of our family. I’ve referred her to everyone I know that needs a real estate professional, and recommend her above anyone else. Lori is a treasure and a miracle worker." "Amy is a wonderful agent and very helpful throughout the entire process of buying and selling a home. We have purchased and sold 3 homes with her and every transaction has been hassle free. We would recommend her to anyone." "Chelsea Thomas was our realtor and was fantastic. As a first time home buyer, I did not know all the ins and outs of home buying. Chelsea helped tremendously throughout the whole process and explained everything very meticulously. Chelsea went above and beyond our expectations. Our experience was nothing less than excellent." "I think Shannon is definitely a great person to deal with and will work just as hard for you as she did us. Shannon went out of her way working late nights and weekends while her family awaited, she spent numerous hours researching properties and homes in unfamiliar territory to her and still managed to accomplish the gathering of all information on perspective homes in a very timely manner." We would recommend Debbie Galbraith to anyone!! "We stumbled upon Debbie Galbraith as our realtor and we are so glad we did! We were wanting someone who would be prompt, knowledgeable and not pushy, and she was just that. She promptly set up viewings with us and stepped back as we looked around, she answered all of our questions and never pushed us one way or another. She was so patient and understanding with all our requests, I wish more people who worked in customer service were like her! We would recommend Debbie Galbraith to anyone!!" "Amy did an excellent job. She found us the perfect house. She listened to our wants and needs and found us a house that fit our criteria. With her guidance from the listing to the closing, we felt the whole experience went flawlessly." "Debbie Galbraith was instrumental in helping my husband and I buy our first home. We simply could not have done this without her assistance. Not only did she do what one would expect of someone in her position, but she went above and beyond. We would text her first thing in the morning (sometimes before 7:00) asking her questions or for updates on the closing situation and she never failed to text us back in a timely manner. She always had a sunny disposition and we never felt like she was bothered in any way by our questions. She was very knowledgeable regarding policies, procedures, and basic rules involved in real estate. On the rare occasion that she did not know the answer to one of our questions, she would consult with someone who did and let us know as soon as she could. One of the most helpful things that Debbie did was put all of the realtor terminology into words that we as first time home buyers could understand. We fully plan on referring friends and family members to her when they begin looking for a home because we know that they will be very well taken care of." - Darren J., Tulsa, OK"
"She worked tirelessly, and went above and beyond..."
"I had the pleasure of using Chelsea Thomas as my real estate agent. She exceeded my every expectation. She worked tirelessly and went above and beyond to help me find the perfect home and she helped me through the entire process. She was always available to show me a house or answer any questions that I had. I work a very busy schedule and she was able and willing to drive to me on occasion so I could get certain paperwork turned in on time. I couldn’t be more impressed with how hard she worked and how easy she made the home buying process for me. Thank you, Chelsea!" "Debbie was my RE/MAX agent for the recent purchase of my new home. She was always prompt for appointments, she was extremely helpful with clear answers to all of my questions, she went out of her way to make me feel at ease with the entire transaction. I found her to be encouraging and uplifting even on my most anxious of days! This alone meant the world to me. Debbie was always available to me either by text or email or phone call. She was diligent in seeing that my home-buying experience was seamless, fluid and free of any undue delays. Her natural courtesy, grace, and positive outlook were refreshing and I always enjoyed our appointments together. To me, she sets the "gold standard" of knowledge and performance to which all real estate agents should aspire." 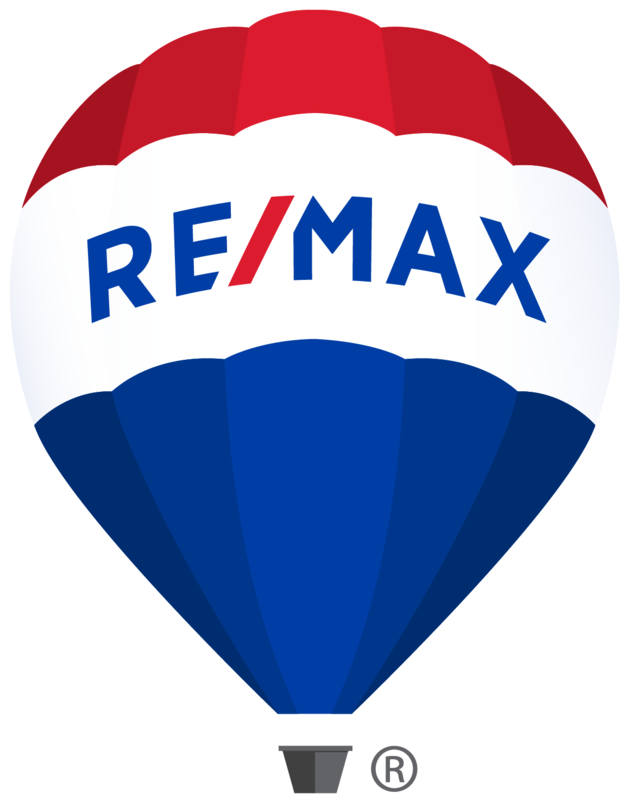 "Kellie Robinson with RE/MAX is a very friendly, efficient Agent and is available for phone calls or texts as needed in a sale. I would definitely recommend using Kellie as a Listing or Selling Agent." "I decided to buy my first home and needed some help with the process. Many of my co-workers gave me Lori’s contact information and I gave her a call. From the initial meeting to closing on my home, Lori was nothing but fun and easy to work with. Lori felt my uneasiness because this was my first home. Lori showed me many homes but she also guided me through selecting a home. Lori gave me some exceptional advice during negotiations and was always updating me with changes or concerns. Lori doesn’t see you as a client but she treats you like a family member and to this day Lori remains in contact with me. Thank you Lori and the Dream Home Team for helping me select my FIRST HOME!" "Amy was informed, professional, courteous and took the time to understand us as individuals. She made us feel comfortable and never pressured." "Shannon Vaughn helped my husband and I find the perfect house. She went above and beyond our expectations and we were both very impressed by her friendliness and willingness to help us. She would continually give us new listings, answered and explained our questions with clarity, and I would definitely recommend Mrs. Vaughn to anyone looking for an amazing real estate agent." "Amy is absolutely amazing to work with through the whole buying and selling process. My wife and I have worked with Amy for both buying and selling our homes in and around the Tulsa area. She knew her territory well and was very knowledgeable about pros and cons of all the areas that would best fit my family’s needs. I believe Amy is trustworthy, friendly, and truly cares about your family’s needs. My wife and I would 100% back any referral to Amy Whitmarsh for your real estate needs." "Lori and her team are great! They helped us every step of the way and made sure the purchase of our new home went smoothly and that we got exactly the house we were looking for. I would recommend this group to anyone who is looking for a new home." I would recommend her to any of my friends or family. "Our realtor experience with Chelsea Thomas was exceptional. She was always available and willing to answer our questions. She was very knowledgeable about the houses she showed and the market in general. I would recommend her to any of my friends or family." Debbie was a delight to work with! "Debbie was a delight to work with. From the very first property she showed us to closing on our condo, she made the process easy and seamless. She was readily available to answer any questions I had and walked us through the buying process since we've never bought a home before. I will definitely use Debbie again when we need to purchase another home and will recommend her to my friends and family." "I have turned to Lori for both buying and selling a home and she always did everything to make the experience the very best. She has a wealth of knowledge and is incredible at selling homes, my house sold in the first week that it was on the market! I will always use Lori for any of my real estate needs!" "Kellie is the most ‘upbeat’ person & a jewel to work with. She’s willing to go the extra 2 miles for you. She’s genuinely grateful for me as a client & is ABSOLUTELY wonderful to work with, hire her TODAY, you will be glad you did. Kellie I mean every word of it, you are a treasure." "Shannon went above and beyond to make sure that we found the house of our dreams. Throughout the process, she was easy to get a hold of and prompt in answering any of our questions or concerns. She took us through negotiations with ease and helped calm our nerves throughout the process. I CANNOT recommend her enough!" "My husband and I were first time home buyers and Lori came highly recommended to us through some friends of ours. She was so wonderful to work with through the entire process! She gave us some great advice along the way that really helped us out, and she was so helpful and patient with us when we hit some big hurdles during the closing process. All said and done, we ended up with a wonderful starter home in the perfect location for us! Thank you SO much to Lori and The Dream Home Team! You’ll be the first people we call when we’re in need of something a little bigger for a growing family!"